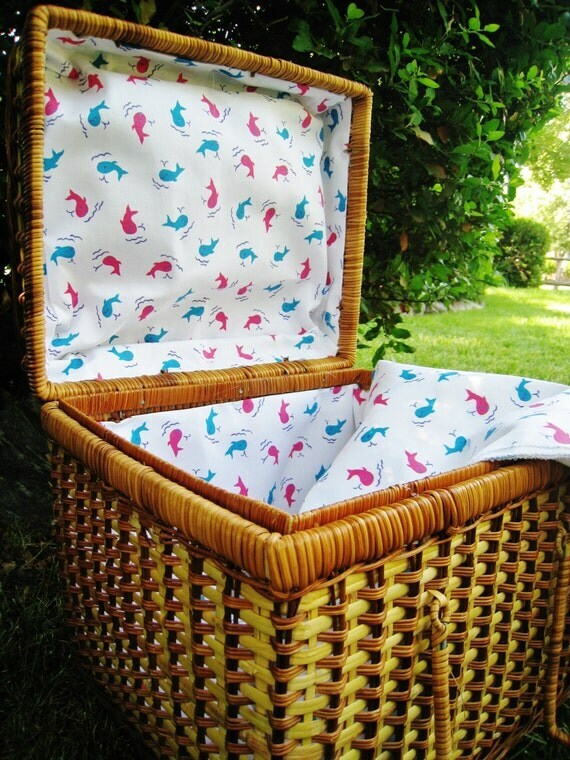 I saw this basket and instantly knew I wanted it for the perfect whale-themed picnic. 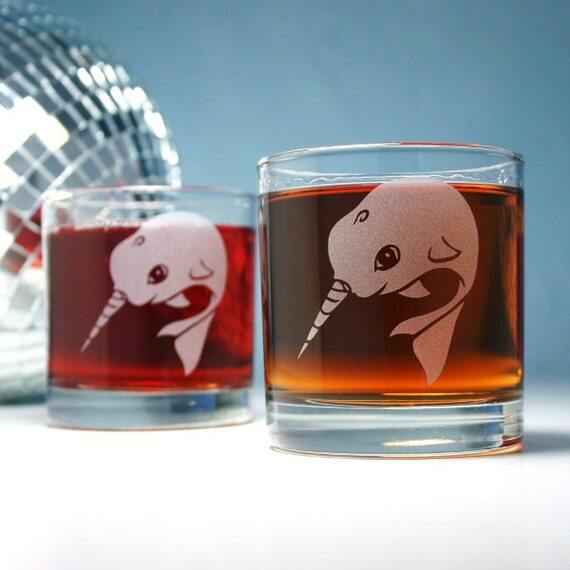 No picnic is complete without some fancy glasses like these diving narwhals! 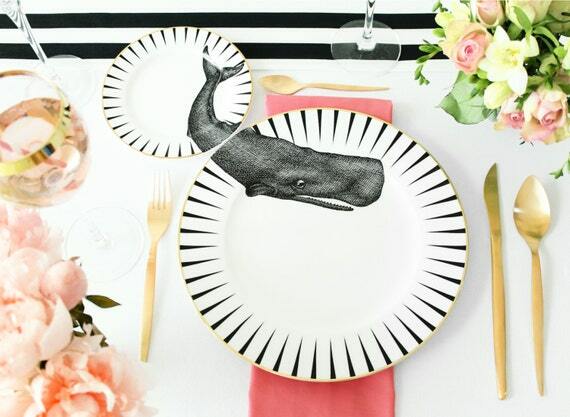 And while it probably isn’t practical to use glass dishware at a picnic, I couldn’t over look this clever plate set. There’s no questioning where to place the little plate!